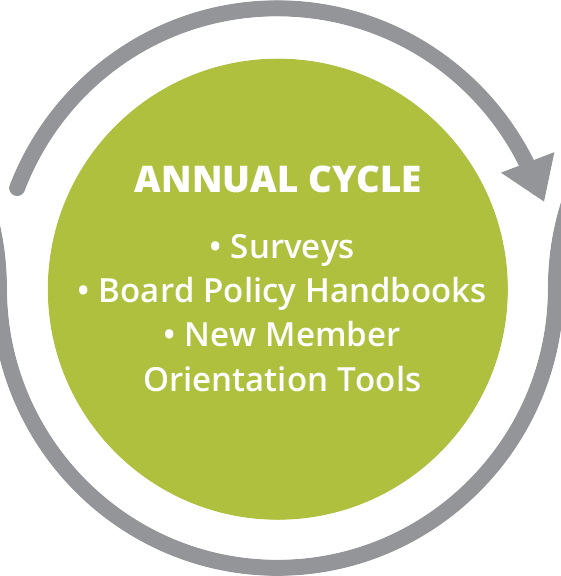 The work of the board is annual in nature and is often carried out over the course of a year. 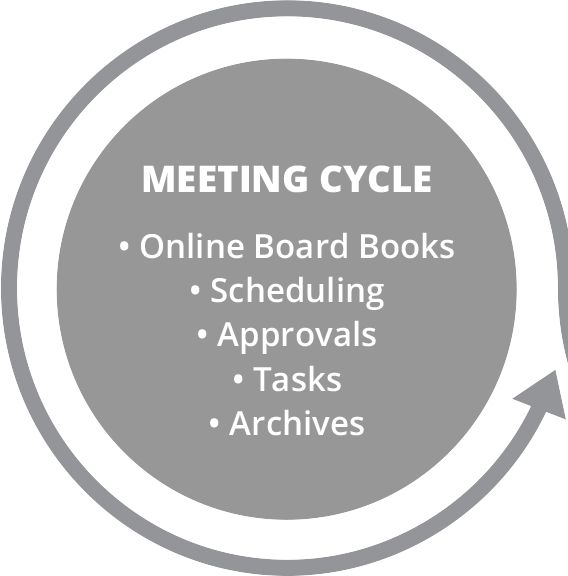 Longer term projects like policy and compliance, budgeting, board member elections and evaluations occur within the Annual Board Meeting Cycle. 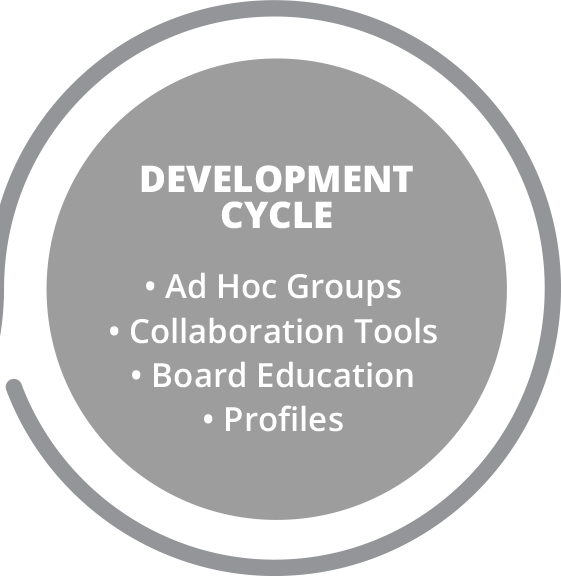 BoardEffect supports this critical strategic work simply and elegantly. 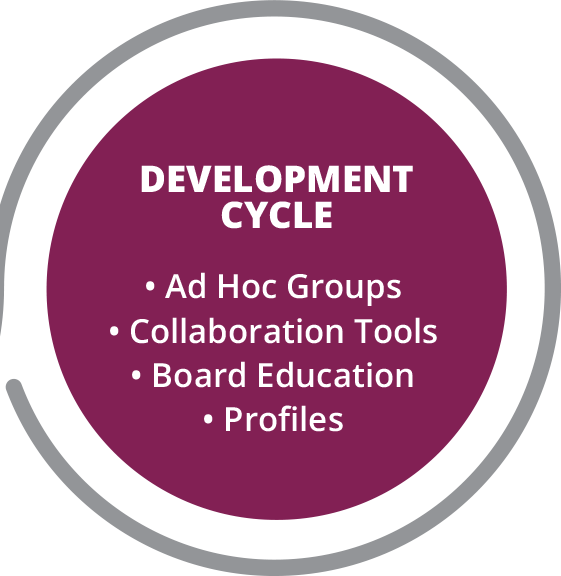 Assess conflicts of interest, solicit feedback on meetings or create self-assessments for board members using the survey tool. Templates allow you to reuse surveys and give you the flexibility to make any necessary updates or changes. 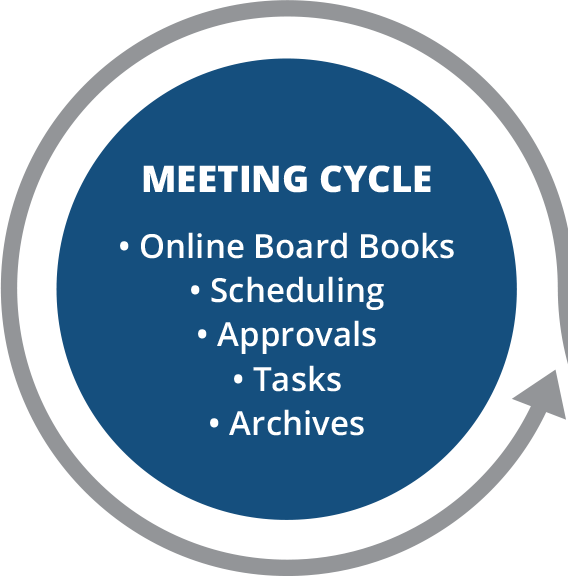 Store all of your important board documents, such as the strategic plan, policies and procedures in one location that board members can always access – even when they are offline. Built the same way as a book, the Board Handbooks can be annotated as well. 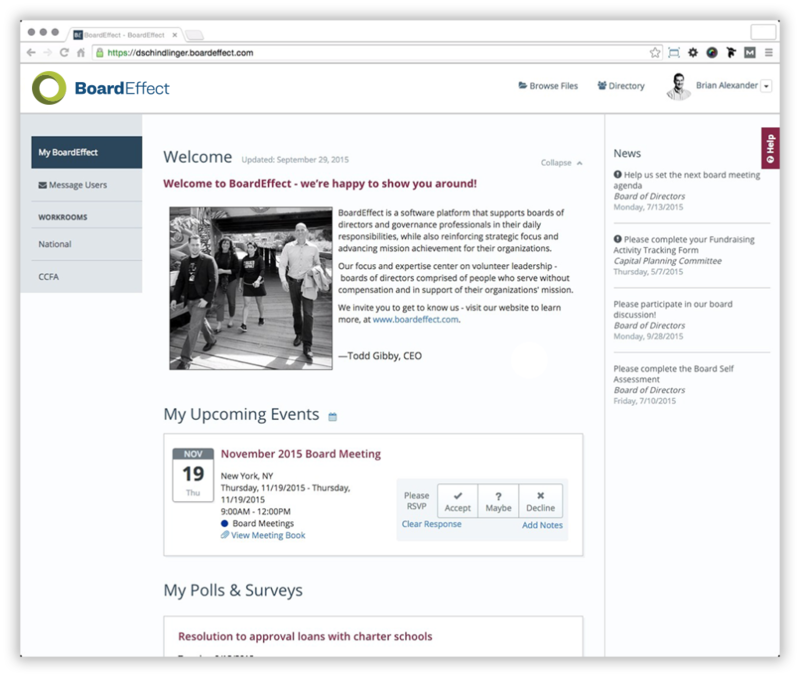 Streamline the process of on-boarding a new board member by using BoardEffect to store all of the information he or she will need for effective board service. 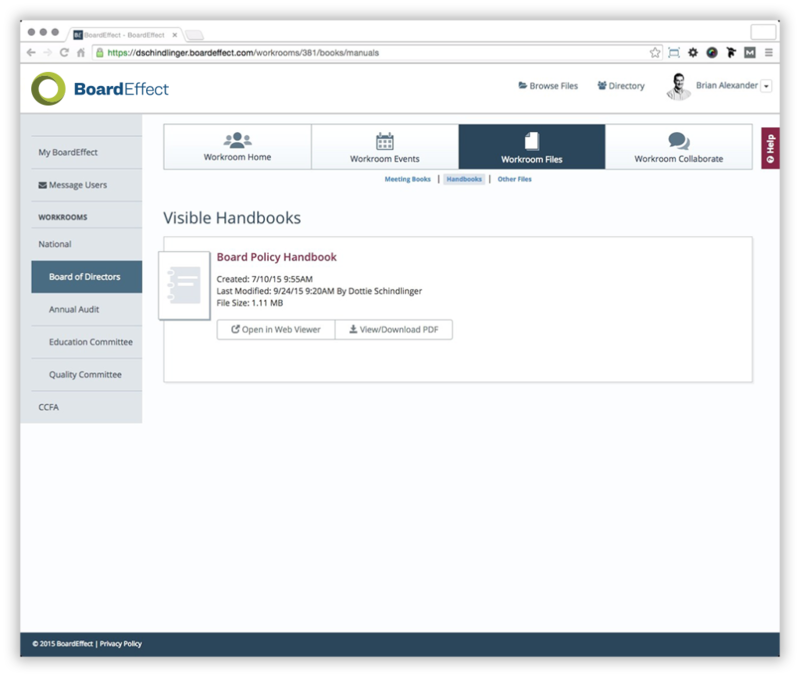 BoardEffect allows you to manage settings and control the level of access that meets your organization’s objectives because we know you want to control how you experience technology. 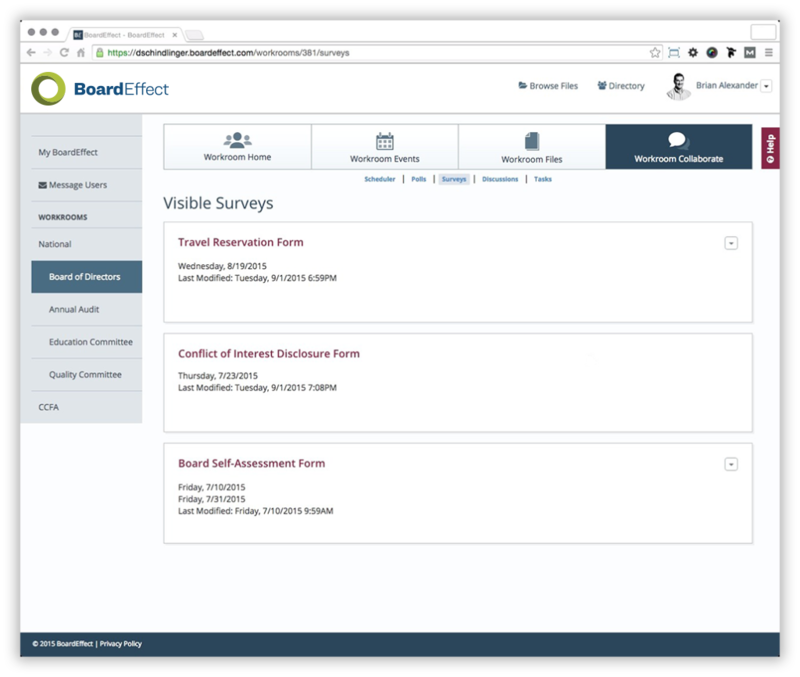 BoardEffect offers a strong platform for the mobile experience, which we are constantly evolving in order to provide you the easiest, most secure access to your information from your preferred device.